David Stearns is a popular guy these days. At the grocery store. Pumping gas for his car. Out for lunch or dinner. 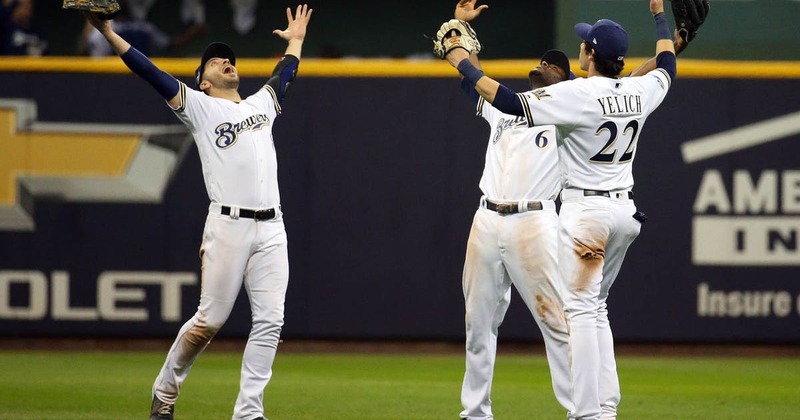 Everyone wants to talk about the Milwaukee Brewers. Next up is the hard part. Milwaukee is looking to build on a breakthrough season after it won the NL Central last year and made it all the way to the NL Championship Series before losing to the Los Angeles Dodgers in seven games. Reigning NL MVP Christian Yelich anchors a potent lineup, and right-hander Jimmy Nelson could help the rotation after he missed last season following surgery on his right shoulder. But the Brewers haven’t made consecutive playoff appearances since 1981-82, and the already tough NL Central looks even better than it did a year ago. Pitchers and catchers report to Phoenix on Thursday, and the first full-squad workout for Milwaukee is Feb. 19. The Brewers upgraded their catching situation when they finalized an $18.25 million, one-year contract with Yasmani Grandal in January. The 30-year-old Grandal hit .241 with 24 homers and 68 RBIs last year for the Dodgers. But the switch hitter struggled in the playoffs at the plate and behind the dish. Manny Pina, veteran journeyman Erik Kratz and prospect Jacob Nottingham also are in the mix behind the plate. Overshadowed a bit by Yelich’s MVP performance, Lorenzo Cain also delivered in his first season with Milwaukee after agreeing to an $80 million, five-year contract in free agency. The smooth center fielder set career highs with a .308 batting average, a .395 on-base percentage and 30 steals. Cain helps set the table for the middle of Milwaukee’s order, so the Brewers are hoping for a similar performance in 2019. Orlando Arcia struggled for much of last season, but he was great in September and October. The 24-year-old shortstop hit .333 with three homers and four RBIs during Milwaukee’s run to the NLCS. Manager Craig Counsell thinks Arcia could help the lineup reach another level if he can perform like he did at the end of last year. “There were some struggles and some rough patches and he finished as the best Orlando Arcia we’ve seen in a Brewer uniform,” Counsell said. Keston Hiura is expected to begin the season with Triple-A San Antonio, but the sweet-swinging second baseman could help Milwaukee this summer. The 22-year-old Hiura, who was selected by the Brewers with the ninth pick in the 2017 draft, is considered one of baseball’s top hitting prospects after he batted .293 with 13 homers and 43 RBIs in 123 games over two minor league stops last year. The Brewers got Ben Gamel in a December trade with Seattle. The 26-year-old outfielder hit .272 in 101 games with the Mariners last year. Gamel’s brother, Mat, played for Milwaukee for parts of five seasons. “He was really excited. I grew up following the Brewers because of him,” Ben Gamel said. Milwaukee hosts improved St. Louis on opening day on March 28, kicking off a four-game series. The Brewers begin the season with 10 straight games against the NL Central.